We take a pragmatic approach to validation that can be easily executed saving time and money. 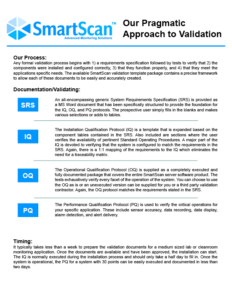 The SmartScan Validation Templates consist of four documents in Microsoft Word or PDF format. 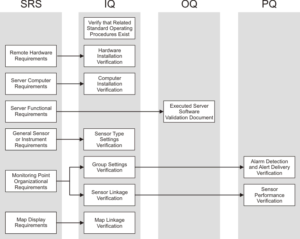 The documents have been designed to minimize the effort required to formally validate a SmartScan monitoring system. The requirements document and the individual validation protocols can be easily modified to meet the needs of a specific application. 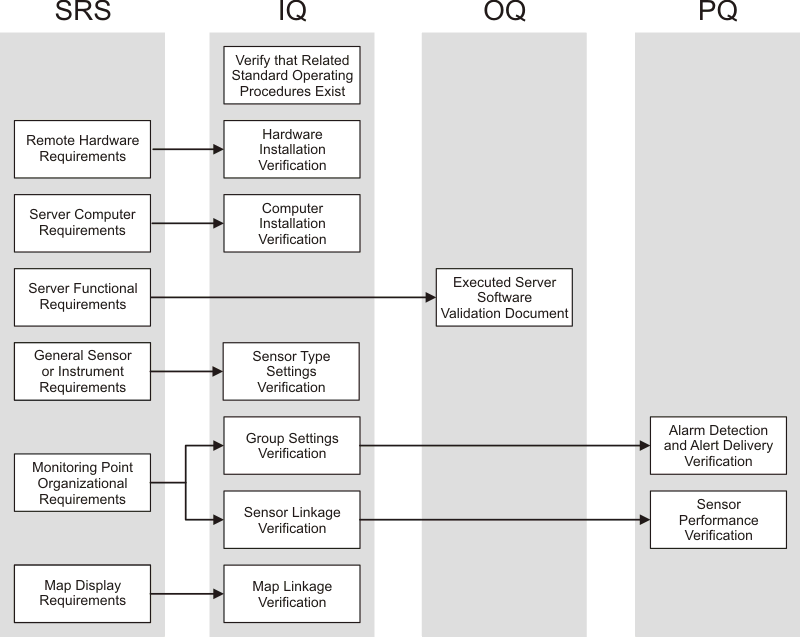 The Operational Qualification Protocol (OQ) is provided with the results of each test fully documented and signed off by CIMTechniques’ QA department. It can be used without any further modification/testing or the entries erased and the tests redone on-site.